Sebastian Flores follows the coding instructions as dictated to him by his fellow team members during an Hour of Code activity at Rising Scholars Academy in San Benito on Tuesday. 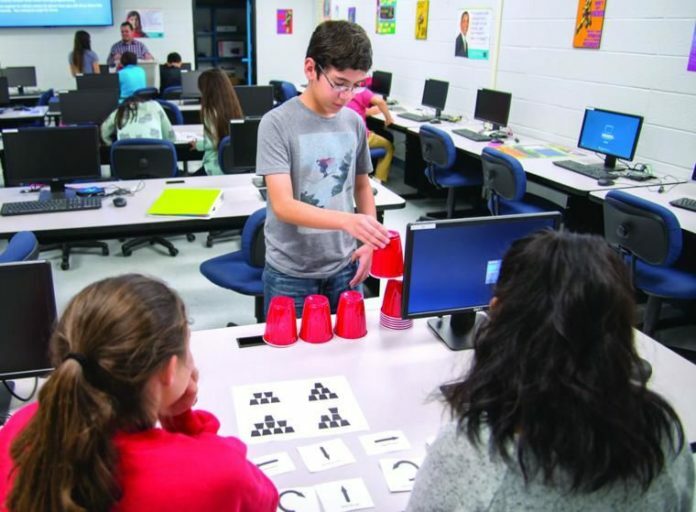 The South Texas Independent School District and all six of its campuses are among the best in Texas and the nation, according to the Niche 2019 Best School Districts rankings. Niche has ranked the nation’s schools for the past 15 years. The rankings employ a comprehensive methodology and are unusual in that they incorporate student and parent opinions. STISD ranked second out of 995 school districts in Texas and ninth among 10,758 in the nation according to the 2019 Niche K-12 Schools list, which was announced last week. The rankings are based on publicly available data from the U.S. Department of Education, Superintendent Marla Guerra said.